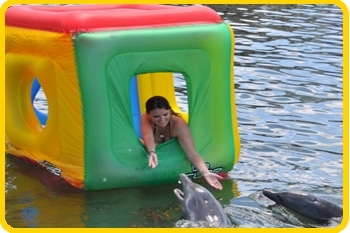 The DRC Training Institute offers a Professional Animal Trainer (PAT) Program to individuals currently working in the animal training/handling field or those who have one year of consecutive training/handling experience within the past two years. 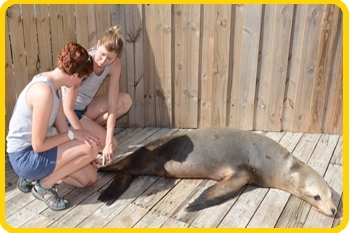 While the program’s focus is marine mammals, the courses offered can be applied for trainers who work with both marine and terrestrial animals. 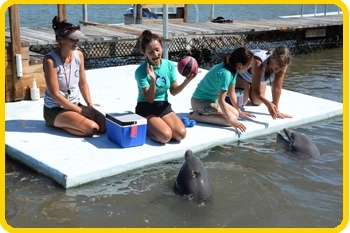 Students who complete the PAT program will have expanded their knowledge and skills to successfully assess animal behavior, adeptly provide appropriate husbandry care and apply positive training techniques for the well-being and enrichment of the animals in their care. Students will also gain skills that further their abilities in applying critical thinking and creative techniques to build stronger relationships. 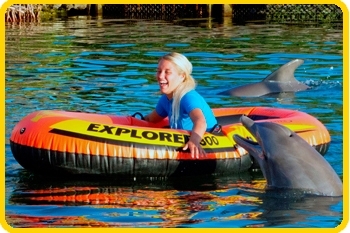 This is a hybrid learning program that consists of 14 weeks of online learning followed by 5 days onsite at Dolphin Research Center. Students will choose 6 courses from the 11 offered in order to receive a certificate of completion. 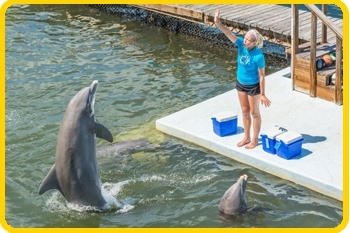 At the completion of the online learning, students will come onsite to Dolphin Research Center for the hands-on portion of the program. The application period is open year round. The completed application, fee, and all required documents must be received two weeks prior to the start of the program. There is $25.00 non-refundable application fee. 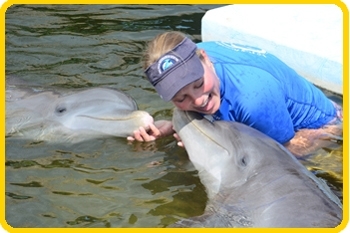 Option 1: Online and Onsite: $1850 per student if choosing to come onsite for hands-on work with dolphins at DRC for 5 days, receiving feedback from instructors. Tuition covers all admissions, lab fees, and lodging. Travel and food costs are the student’s responsibility. Option 2: Online Only: $1250 per student if completing the program entirely online. Must be able to video sessions with their animals, with permission from their facility, and have the ability to upload the video to the instructor. Please see links to the certificate program documents below for more information regarding costs, course descriptions and the application and enrollment processes. 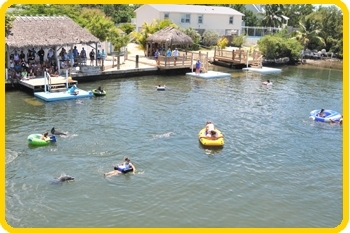 You can also email DRCTI@dolphins.org. DRC Training Institute is accredited by the Accrediting Commission of Career Schools and Colleges (ACCSC) #M072566 and licensed by the State of Florida Commission for Independent Education (CIE) #4766. The DRCTI Professional Animal Trainer Program (PAT) does not fall under the purview of ACCSC accreditation or CIE licensing.